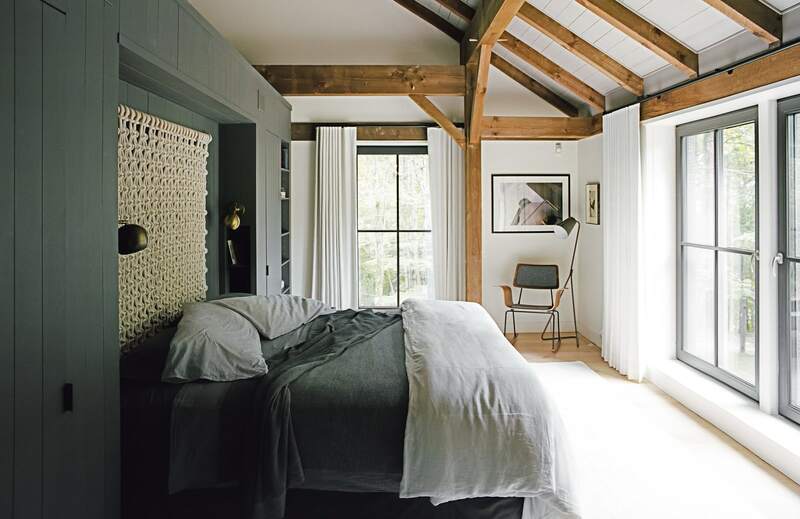 Earlier today I was looking back on some of my favorite Dwell home tours, and I came across this dreamy-perfect house (which probably deserves its own Yeah, I Could Live There post)—and I could not stop looking at the macramé headboard made by Sally England. 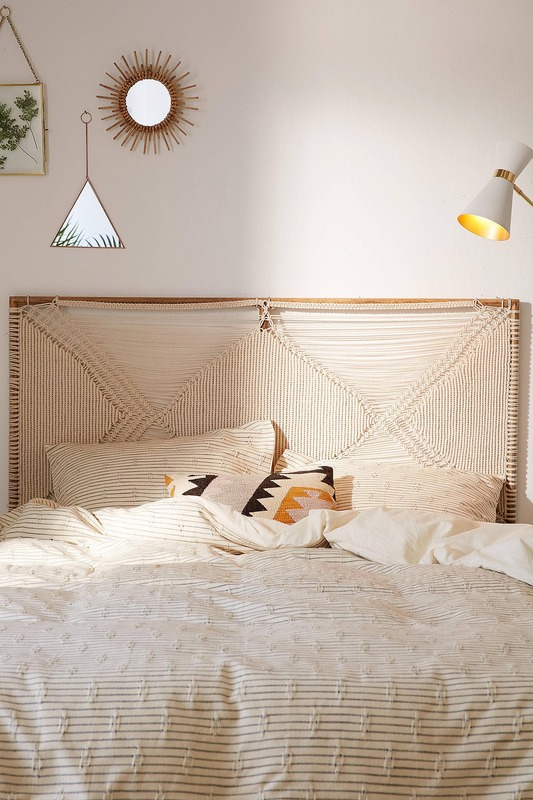 Apparently macrame headboards are a thing that people do? And now I want one, so I guess I’m in the market for a gigantic macramé wall hanging. I wish I had the skills to make one myself, but tying my shoes is about as much as I’m capable of. 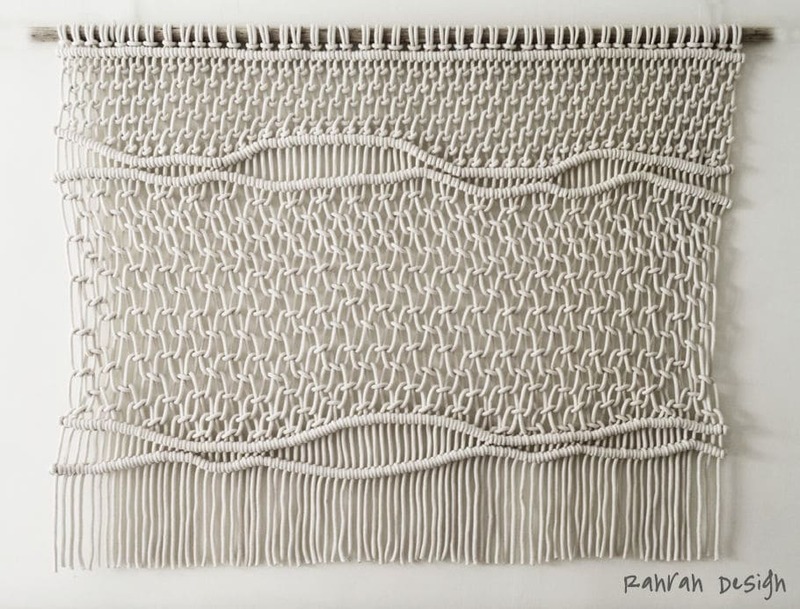 I did just discover the work of Annalea Hart, a macramé artist who lives here in Albuquerque and who offers classes, though, so…maybe someday. 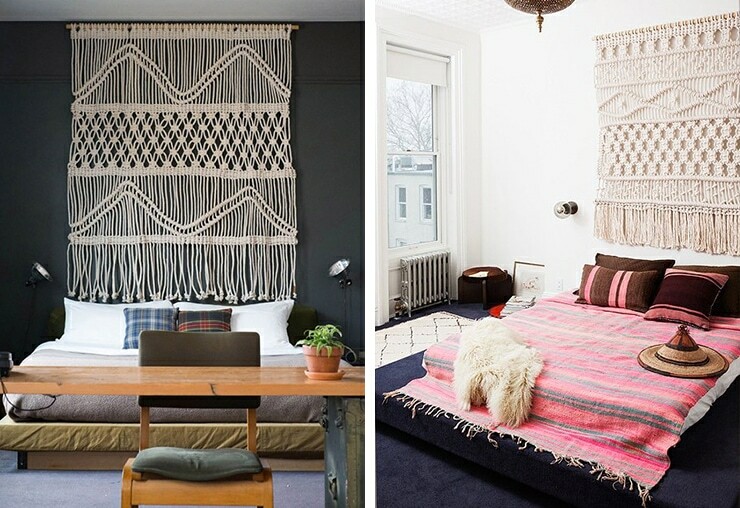 In the meantime, here are a bunch of macramé headboards to get me inspired to hunt for my own. 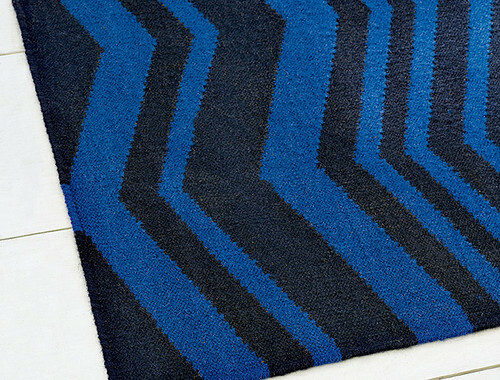 Tangiers rug from West Elm. 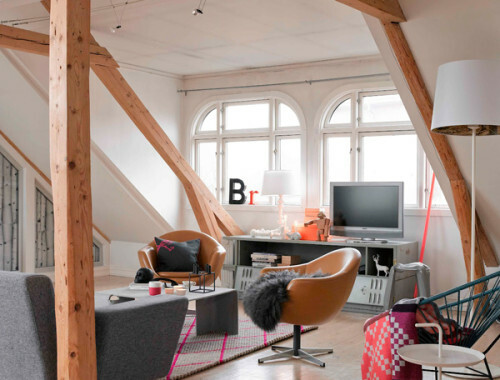 Gray + wood + white + neon. 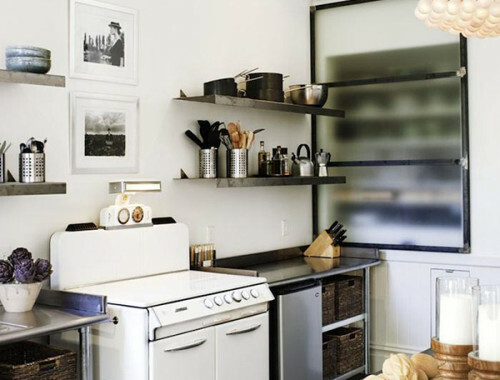 Vintage rugs in nice kitchens. Yes! 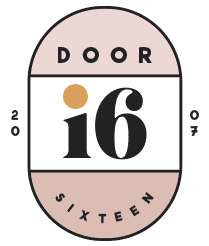 Another post already? Love it. 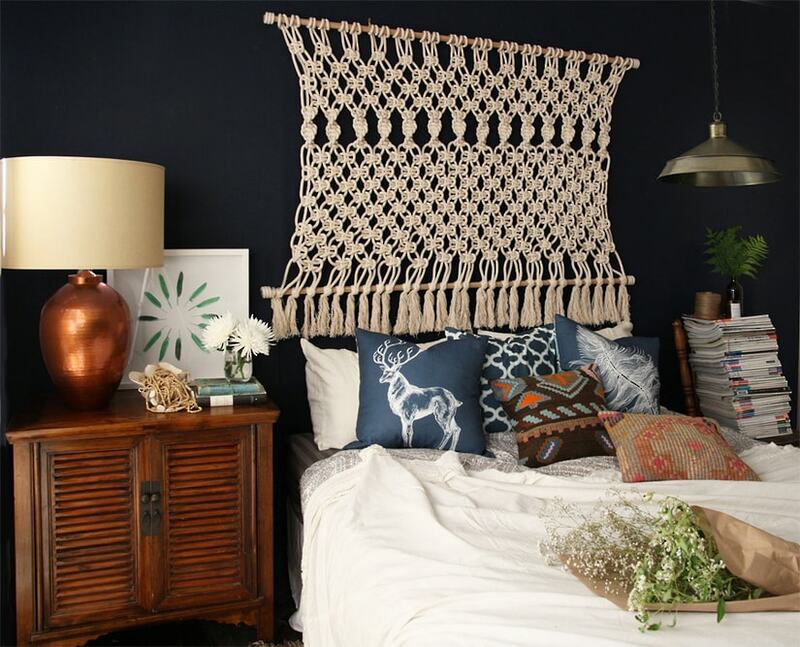 That huge one on the black wall is amazing I have seen so many macrame wall hangings (they have been hugely popular in baby nurseries in the last 12 months), but never as a headboard! This looks so good. Right? I don’t know why it never occurred to me to use one as a headboard. I’ve always been pretty headboard-averse, though, for reasons I can’t explain. And yeah, I’m trying to post as much as possible so I’ll burn out really fast and go back into hiding! So good to see your posts in my feed again! I also am considering a macrame class…maybe it’s like making a grown up friendship bracelet? Not as lovely but Urban Outfitters has some on their site. oops, just saw that you included one. In my head, they all look yellowed and dusty. How does one clean those things? Slip the loops into a string, tie it off and throw in the washing machine? From the experience I have with crochet done in unbleached cotton, I imagine that the knots would come out looking a lot different, tighter and less clear. Besides the fraying on the open ends. Hmmm, I have a number of smaller macramé pieces, and they don’t look any different now than when they were new! I don’t think cotton turns yellow unless you do something like use bleach on it? As for cleaning, lightly vacuuming or shaking it outside should be fine. I can’t think of why you’d need to wash it—just treat it as you would any other fiber arts/textile wall hanging. Fraying shouldn’t be an issue if it’s just hanging on the wall, either. I guess if you really need it to be washed, you could take it to a professional as you would with a rug. Good tips for cleaning. Just like rugs and other wall hangings. If you did feel it was too dusty or dirty, you cold beat it outside with a broom handle to get a bit of dust off, stain treat any stains with what you would normally use, and then soak it in a tub of cold water for a few hours (no real agitation, mild detergent or oxy clean optional). Almost anything you own can be handwashed in cold water like that. 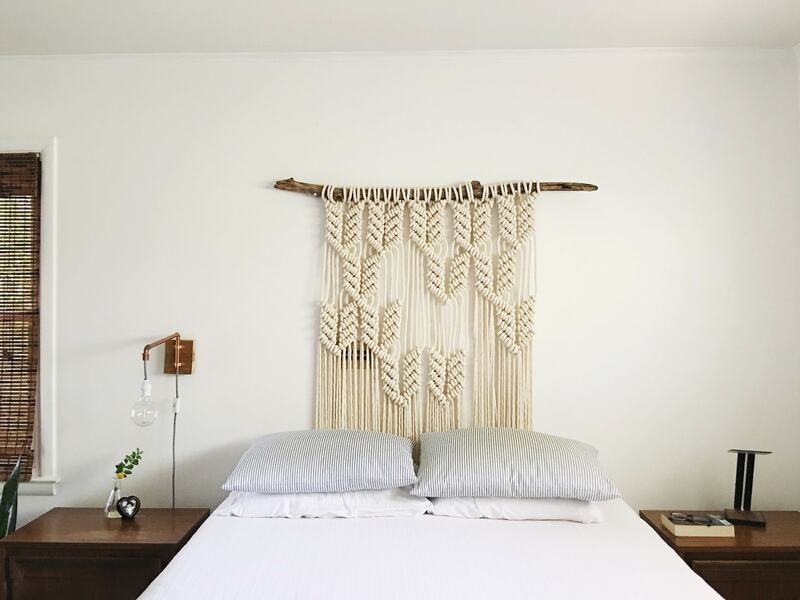 Macrame always makes me think of 1970s woven owls perched on a stick, but I love these and love the headboard idea! Hi Deborah, several of the pieces in my post are by Sally England, and the credits all link to her site. Did you mean to share something else? sorry, didn’t realize it was the same source. I’ve been following her for a while. 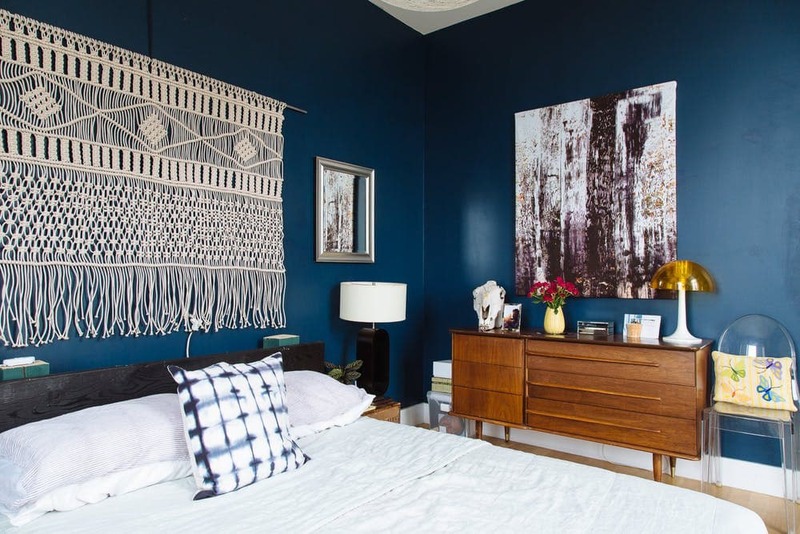 I know tis post is so old but, I am obsessing over that Urban Outfitters Vera headboard! I’ve googled looking for the manufacturer, somewhere else to buy it. I’ve called UO – they can’t help even with the sku :/ Any suggestions you might have would be lovely, thank you!